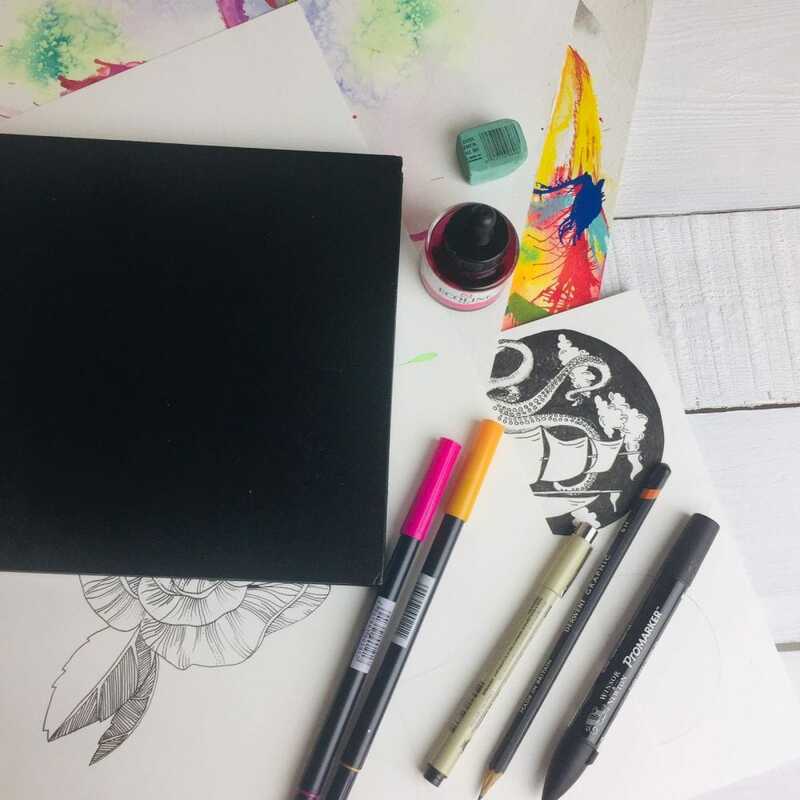 We will be working in a sketchbook to store all there drawings and painting to create an art journal effect. We will be using our favorite watercolors, Tombows, Promarker, Koi pens and fineliners. We will be concentrating on mark making and building up a series of images and illustrations.